Super Savings Item! Free Shipping Included! 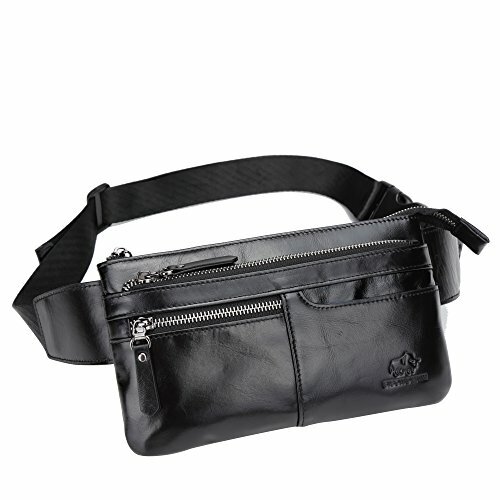 Save 38% on the BISON DENIM Leather Waist Pack Fanny Pack Men's Hip Purse Travel Hiking Bum Bag Belt Bag by BISON DENIM at Mas Fashion. MPN: W2443-1BX. Hurry! Limited time offer. Offer valid only while supplies last. Genuine cowhide leather with polyester lining, silver tone hardware. Aged color,a fanny pack without looking like you've completely given up on the concept of fashion. If you have any questions about this product by BISON DENIM, contact us by completing and submitting the form below. If you are looking for a specif part number, please include it with your message. FlipBelt Level Terrain Waist Pouch, Royal Blue, Large/32-35"